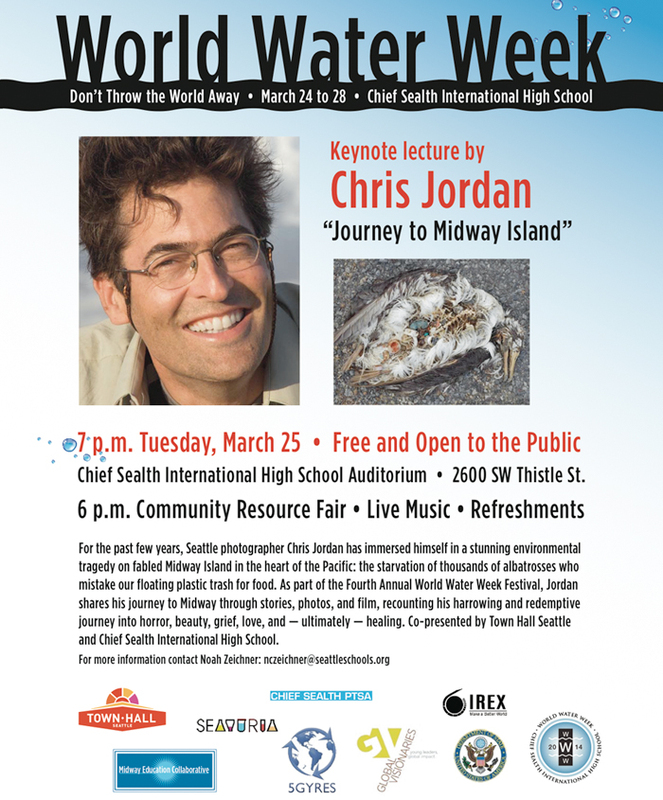 Chris Jordan will be giving the keynote address at Chief Sealth International High School's World Water Week event on March 25, 2014, at 7pm at the school's auditorium. He'll be speaking about his journey to Midway Island. Doors open at 6pm for a community resource fair, with live music and refreshments. This event is free and open to the public. More info is at the Town Hall website.